All black Outfit. Anything but Basic! ‘’Black is the new black’’ a very popular quote that I ‘’stole’’ from pinterest. As many trends tend to lose their karisma, black is the one trend that never goes out of style. There is something about that black outfit that when you look at it gets your attention. Isn’t it? Black is the darkest color, the result of the absence or complete absorption of light. But there are some other reasons why black on black is a good way to go. It’s easy to put match with any other colour/shades. For example, wear it with a red lipstick and Girl, you’re on fire! Don’t be afraid to play with the textures or with accessorizing. It’s versatile, use it for various occasions. Have it at work with some low shoes, going out (the LBD)with high heels or boots, going for a nice lunch and so on. Black on black it’s anything but basic. It gives a mysterious glamour and elegancy style. The shade is able to be taken on various personalities. Who doesn’t look good in black? Another good reason Is that Black makes you look slimmer. Like a I wrote upper, black is a minimising colour which means that it makes things look smaller than they actually are. OMG!!! 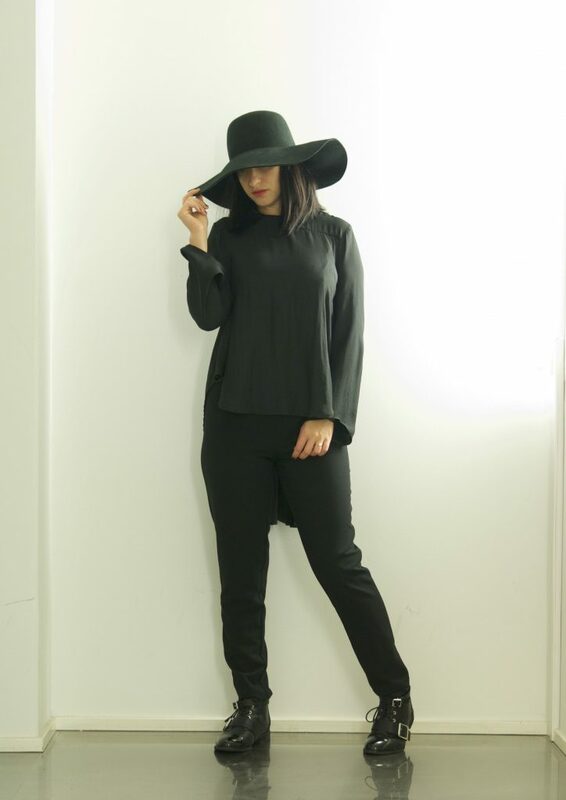 There are so many more reasons why you should wear black but in my opinion the most important is that it will give you a boost of confidence in yourself which will put you in a good mood. 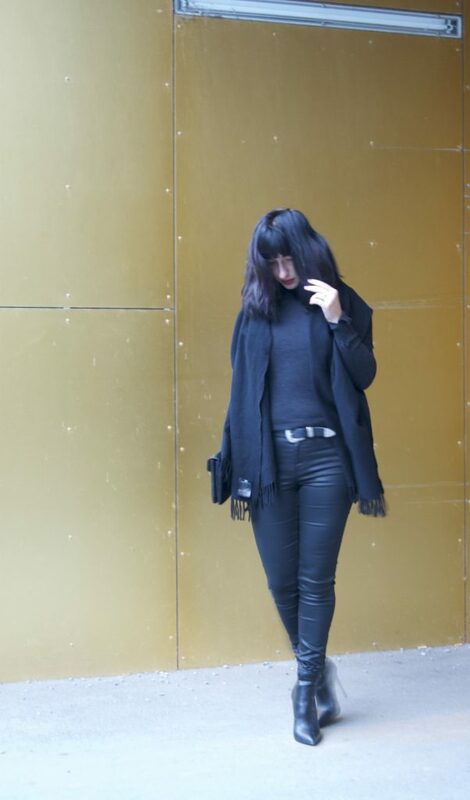 How are you wearing your black on black ? Next Post A day in your life: How to have the best ME-day!